After Android 4.2.2 was sent out to the Google Nexus 7 and Google Nexus 10 tablets, and the Samsung GALAXY Nexus handset, the update was pushed out OTA on Wednesday for the Google Nexus 4. The build number is JDQ39 and the update comes in at 54MB. As we showed you the other day, Android 4.2.2 brings an in-progress status bar that shows you how much time is left until that app you're downloading will open. The update also brings a new low battery sounder and one for wireless charging. And the Quick Settings feature will allow you to quick toggle Wi-Fi and Bluetooth on and off. New animation in the gallery app allows pictures to load faster. And in the phone app's call list, the option to list all calls has been removed. Now you probably know that these updates are done in phases, so if you did not get your update today and it doesn't come tomorrow, don't panic. 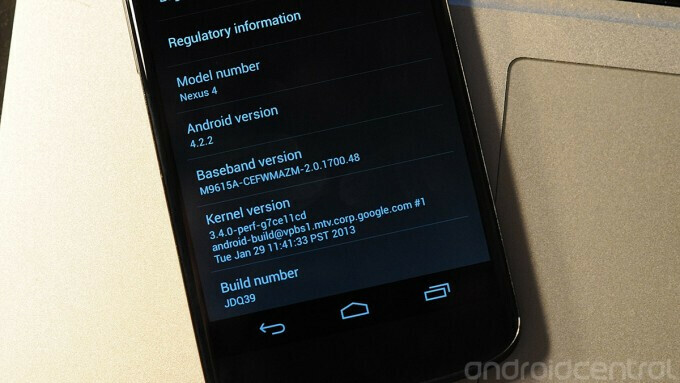 It will eventually hit your Google Nexus 4. If you are impatient and can't wait, click on the sourcelink to manually download the update direct from Google. You can then install it by sideloading or by a custom recovery. 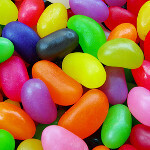 There is some thought that Android 4.2.2 is the last of the Jelly Bean builds. Google I/O is sure to host the introduction of Android 5.0, Key Lime Pie which could debut on the Motorola X.
lol that won't ever change, even if you had a Nexus on Verizon. Isn't the Galaxy Nexus still on 4.1.0 or has it finally been updated? lol my friend stop the pain , get a nexus 4 like I did , and game over , if u like android and you don't have a nexus device lol shame on you lol , simple nexus 4 is the best android phone , now I have a lumia 920 and a nexus 4 cant get better than that . Okay. Now, who want some pies? Just got the update on my Galaxy Nexus. Still waiting for update on GNex (takju) in India. Had manually upgraded from yakjuxx to takju the very day i bought this late last year.